Find out if floating tile—a DIY-friendly alternative to traditional porcelain tiles—is right for your home. Porcelain tiles are an all-time favorite for beautiful, durable floors, particularly in bathrooms and kitchens. But until recently, professional install was required due to the materials and skill involved in setting them. That’s changing with a relatively new, more DIY-friendly product known as floating tile, which is laid using a much simpler, faster, and less messy process. If you’ve been wanting a tile floor but shied away due to the difficulty of installing your own traditional tile, you may be intrigued by the idea of a floating tile floor. Keep in mind, however, that reviews are mixed. Reading on to learn what floating tile is all about and whether it’s right for your flooring project. Traditional and floating tile are both made of porcelain, but installing a standard tile floor demands serious skill. Tiles are first embedded in a layer of thin-set mortar, which securely attaches them to a concrete backer board. The backer board attaches to the subfloor with an additional layer of mortar. It’s time-consuming work, and professional tile setters spend years honing their craft. Floating tiles come pre-attached to durable rubberized bases that interlock with one another. This simplifies tile installation; there’s no need to embed the tiles in a mortar base, and the interlocking system creates uniform grout lines across the entire floor. They’re called “floating” because they do not attach to the subfloor. When correctly installed, a floating tile floor looks as sleek and precise as standard tiles. A few early versions of floating tiles that came out around 2010 didn’t quite cut the mustard due to extensive cracking and the tiles separating from their rubberized bases, so their manufacturers stopped production. Recently, floating tiles were reintroduced to the market and, while installation is certainly easy, not all consumers have been happy with the results. Here’s a look at the advantages and drawbacks of today’s floating tiles. + No need to mix or trowel mortar (one of the more difficult aspects of laying standard tile). + No uneven grout lines. Floating snap together to provide uniform ¼” grout lines. + Can be installed over another solid flooring, such as existing tile, vinyl, hardwood, linoleum, and concrete, as long as the floor is even. + Can be installed directly over the existing subfloor. + Because floating tiles interlock, the top edges of the tiles will always be level. 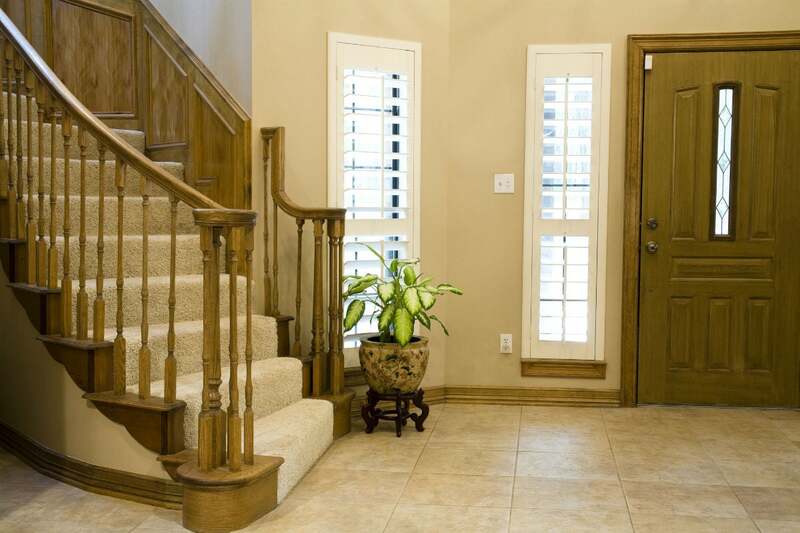 On standard tile floors, the top edges may not always be perfectly level, usually due to too much or too little mortar beneath individual tiles. – Grouting is still required between the tiles. – Cracks are a common complaint from homeowners. On a standard tile floor, the mortar and concrete backer board provide a solid base to support the tiles. 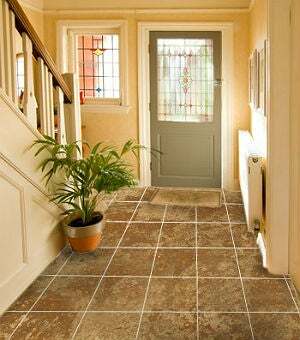 Because floating tiles are not supported with a bed of mortar, the weight of heavy furniture—or even the weight of an adult walking across the floor—has been known to crack tile. – Floating tiles are available in limited neutral colors, such as shades of tan, beige, and gray, so design choices are limited. – Floating tiles are expensive. Standard tiles run anywhere from $1.50 to $10 per square foot, based on quality and design, and professional installation can add another $5 to $8 per square foot. Floating tiles can run $15 to $18 per square foot and they are intended for DIY installation. – Basic measuring and tile-cutting skills are still required in order to create a uniform layout. – Grout is permeable, and water left standing on the floor may seep downward and affect the subfloor, especially if the grout cracks (something homeowners have reported). This is not a problem with standard tile because the concrete backer board layer protects the subfloor from moisture damage. To reduce the risk of cracked tiles and grout, the subfloor must be smooth, level, and bounce-free. Floating tile manufacturers stipulate that the subfloor must meet standard floor deflection specifications. This means your subfloor’s joists or trusses should not move when weight is applied to the surface. The amount of deflection in your floor should be determined by a knowledgeable builder or an engineer. If the floor system has too much movement, it should be reinforced before installing floating tiles. If the floor is uneven, high spots can be ground down, or low spots filled with a floor-patch product. Failure to repair these issues may result in cracked floating tiles. Floating tiles from one of the current industry leaders, SnapStone, can be purchased online at Lowe’s and in many local home improvement centers. While floating tile flooring is simpler to install than mortar-down tile, it still requires attention to detail and the ability to measure accurately. Be sure to read installation directions carefully; also check out SnapStone’s online tutorial for more information on what you can expect. The following dos and don’ts will help you get off on the right foot if you decide that floating tile is for you. Remove floor molding before installing floating tiles, and re-install them afterward for a finished look around the edge of the room. A good way to establish the tile layout is to snap a chalk line down the exact center of the room and use that as your starting line. Alternately, you can start laying the tiles along the longest wall opposite the door to the room. Use a tile saw to cut the tiles where necessary to fit along the edges of the floor. Do not install floating tiles under areas that will bear weight, such as beneath stoves, dishwashers, and refrigerators. 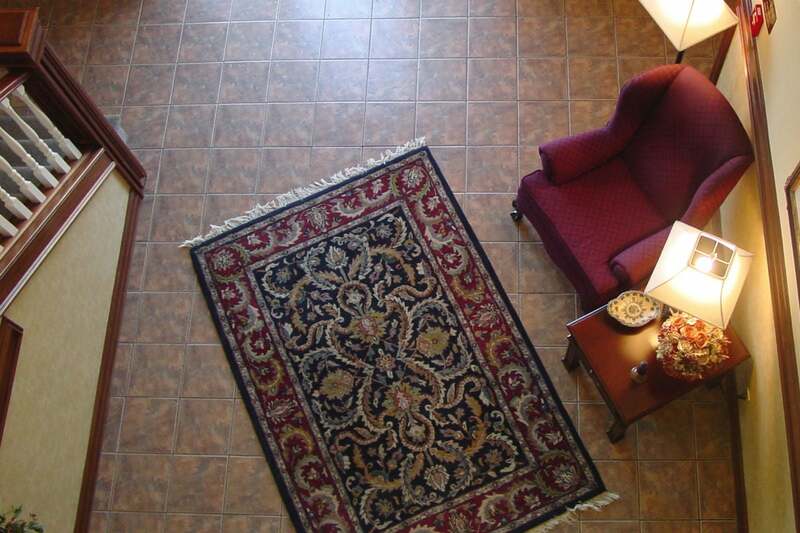 Install a different type of flooring, such as resilient vinyl or linoleum, in those areas. Use tile nippers to cut the tile to fit around the curved perimeter of a toilet base, rather than setting the toilet on top of the tile. Use only the grout recommended by the tile manufacturer. Since floating tiles are not securely attached to the subfloor, they may shift. Flexible grout is required to reduce the risk of cracking. Seal gaps around the edges of the finished flooring with silicone caulk. If you plan to install—or are already living with—a floating tile floor in your home, follow this handful of maintenance guidelines to extend its life. Sweep or vacuum your floor as necessary to remove dirt and debris. Wipe up spills promptly to reduce the risk of liquid saturating the grout or seeping through a crack in the grout to the subfloor beneath. Mop when needed with an all-purpose floor cleaner that’s enzyme-free (check ingredient label), because enzymes can damage the grout. Alternately, you can use a bleach solution by combining one cup of water with one gallon of warm water. Do not use a steam mop, which may damage the grout. Do not use vinegar to clean the floor as it may damage the grout. Do not use commercial wax products on the tile flooring as they may damage the grout.